Montgomery Public Schools: Have a family outing tonight - Take kids to County Council hearing! Have a family outing tonight - Take kids to County Council hearing! Make tonight a special family night! Seven Locks-area parents and kids are urged to turn out for the Montgomery County Council's last public hearing on Seven Locks Elementary School before the council votes on the issue. The hearing is at 7:30 pm on Tuesday, March 21 at the County Council Building, 100 Maryland Avenue in Rockville, in the 3rd floor hearing room. Strong community turnout is very important! 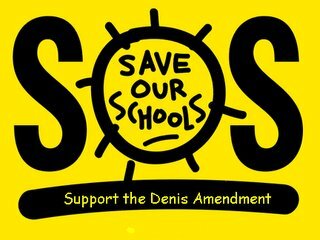 The only topic on the agenda is to vote on the Denis amendment to save Seven Locks Elementary School and de-fund the controversial and possibly illegal Kendale replacement school project; or to shut down Seven Locks (and sell the property to developers, a point not explicitly revealed to the public). Make it a family event! Plan to have dinner in Rockville with the kids, and meet at the County Council hearing room by 7:15 to get good seats. It will be a great neighborhood solidarity event and a wonderful civics lesson for the kids! For the official website of the Save Seven Locks School Coalition, click here.